The outlook of Moody’s for Indonesia’s banking system is positive. The rating agency believes that banks in Indonesia will see improvements in asset quality and the operating environment, as well as in the capacity of the government to extend support when necessary. 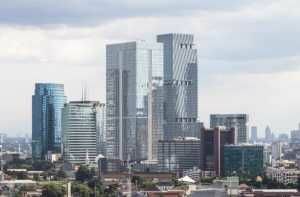 For anyone considering a banking career in Indonesia, this list of top banks in Indonesia is a helpful guide on where to start. To learn more, see all our list of financial institutionsCompaniesLists of the main players in corporate finance. We've got lists of the most important financial services companies, banks, institutions, accounting firms, and corporations in the industry. Browse these guides to prepare for a career in financial services and start networking today to accelerate your career. Established in 1988, Bank Mandiri is the largest of the banks in Indonesia in terms of assets, loans, and deposits. The bank offers various financial products and services to individuals and corporate clients. It manages 2,631 branches, 17,766 ATMs, and 2,312 micro networks. Headquartered in Jakarta, the bank employs around 38,000 employees and oversees six major subsidiaries: Bank Syariah Mandiri, Mandiri Sekuritas, Mandiri Tunas Finance, AXA Mandiri Financial Services, Bank Sinar Harapan Bali, and Mandiri AXA General Insurance. As of 2016, total assets of the bank were US$75.46 billion and net profit was US$1 billion. Founded in 1968, Bank Rakyat specializes in small scale and microfinance style borrowings. Based in Jakarta, the bank employs around 99,333 staff and also serves the Asian and US markets. Bank Rakyat offers Shariah-compliant banking services through its subsidiary, PT Bank BRISyariah. The bank’s other subsidiaries include PT Bank Rakyat Indonesia Agroniaga Tbk and BRI Remittance Co Ltd, which provides money remittance services. As of 2016, the bank’s total assets amounted to US$72.96 billion and net profit reached US$1.91 billion. Bank of Central Asia offers banking products and services to retail and corporate clients, including SMEs. Established in 1957, the bank operates 135 main branches, 854 sub-branches, and 17,207 ATMs. Headquartered in Jakarta, it employs a staff of around 25,000. In 2016, the bank reported total assets of US$49.20 billion and a net profit of US$1.50 billion. Founded in 1946, Bank Negara is one of the state-owned banks in Indonesia. It provides banking products and services not only in Indonesia but also in New York, Europe, and the rest of Asia. It manages 196 domestic branches, 944 sub-branches, and 829 other outlets, and five overseas branches in Singapore, Hong Kong, Tokyo, London, and Seoul. With around 30,000 employees, it is based in Jakarta. As of 2016, the bank’s total assets were US$43.84 million and net profit was US$0.43 million. Established in 1955, Bank CIMB Niaga is one of the national private banks in Indonesia. The bank provides financial services to retail and corporate clients. It operates out of Jakarta and employs around 12,782 people. As of 2016, the bank’s assets totaled US$17.56 billion and net profit amounted to US$136.30 million. Bank Danamon provides banking products and services to retail, commercial, and SME clients in Indonesia. Founded in 1956, the bank operates through its Retail, Mid-Size, and Wholesale segments. It oversees a network of 42 conventional main branches, 940 conventional sub-branches, and 10 Sharia branches and sub-branches. In 2016, the bank posted total assets of US$12.67 billion and a net profit of US$203.03 million. Incorporated in 1954, Bank Permata is headquartered in Jakarta and employs around 7,500 individuals. It was formerly known as PT Bank Bali Tbk but later changed its name to PT Bank Permata Tbk in 2002. The bank operates a network of 56 branches, 253 sub-branches, 312 Sharia office channels, 22 cash offices, 22 mobile cash offices, six payment points, and 1,008 ATMs. As of 2016, total assets of the bank were US$443.20 billion and net profit was US$471.32 million. Headquartered in Jakarta, Panin Bank offers a wide range of banking products and services. Established in 1971, the bank employs around 12,000 staff and operates a network of 565 offices and 981 ATMs. As of 2016, the bank’s total assets amounted to US$14.48 billion and net profit reached US$162 million. Bank Tabungan Negara was founded in 1897, making it one of the oldest banks in Indonesia. The bank oversees a network of 99 branches, which includes 23 Sharia branches; 315 sub-branches – comprised of 40 Sharia sub-branches and 492 cash offices, including seven Sharia cash offices and 2,996 system online payment point/online post offices. With around 9,300 employees, it is based in Jakarta. In 2016, the bank reported total assets of US$15.57 billion and a net profit of US$190.39 million. In 1988, Maybank obtained a license to operate as one of the foreign exchange banks in Indonesia. Established in 1959, it was formerly known as PT Bank Internasional Indonesia (BII). It oversees a network of 428 branches, including Sharia branches, spread across all provinces in Indonesia. It also has two overseas branches in Mauritius and Mumbai. Headquartered in Jakarta, it employs around 7,500 individuals. As of 2016, the bank’s total assets were US$12.12 billion and net profit was US$143.02 million. 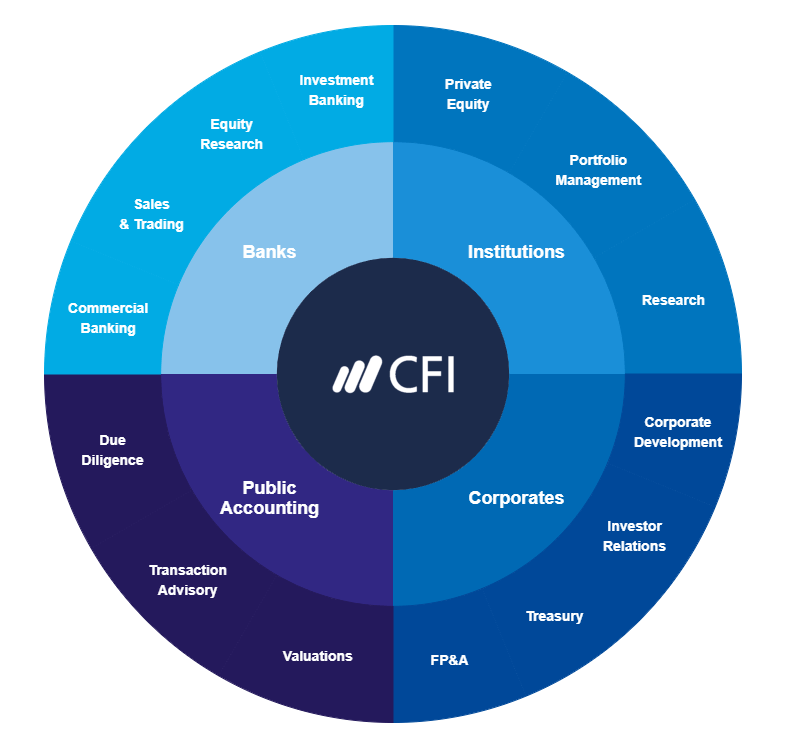 This has been CFI’s guide to the top banks in Indonesia. For anyone looking for a career in banking, this list is a great place to start your networking. You may also want to consider CFI’s Financial Modeling and Valuation Analyst (FMVA)FMVA™ CertificationThe Financial Modeling & Valueation Analyst (FMVA)™ accreditation is a global standard for financial analysts that covers finance, accounting, financial modeling, valuation, budgeting, forecasting, presentations, and strategy. designation to boost your resume and career path!